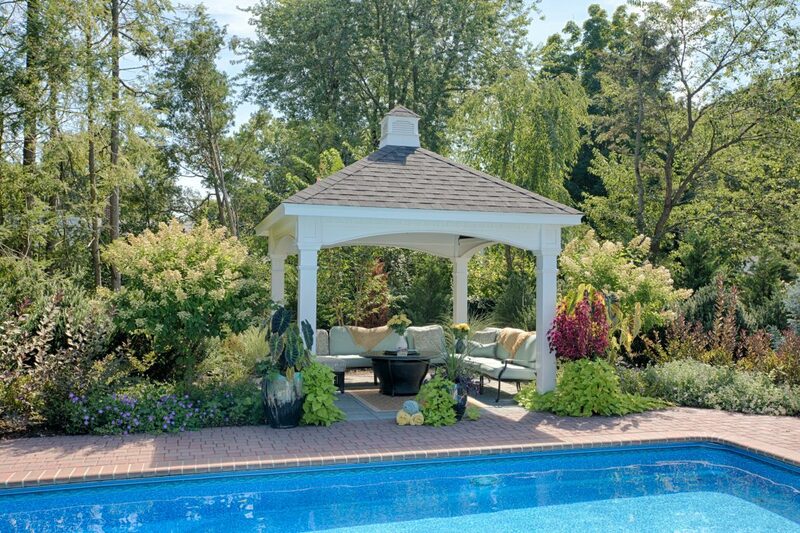 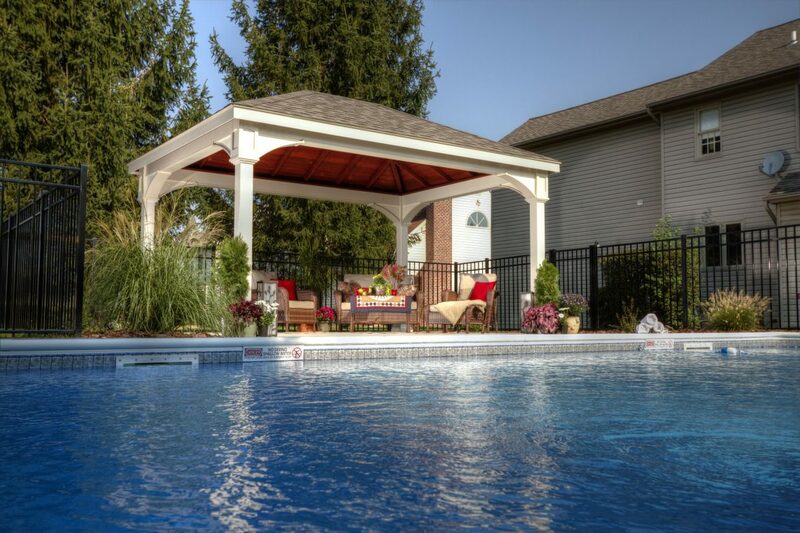 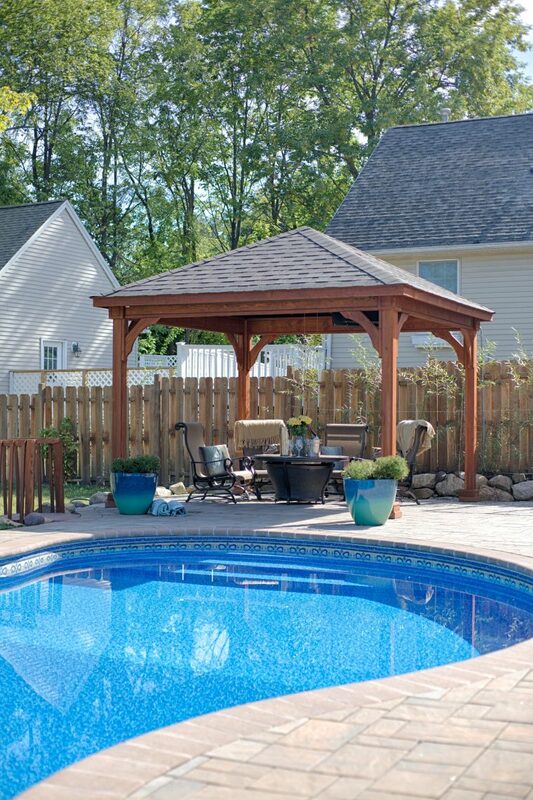 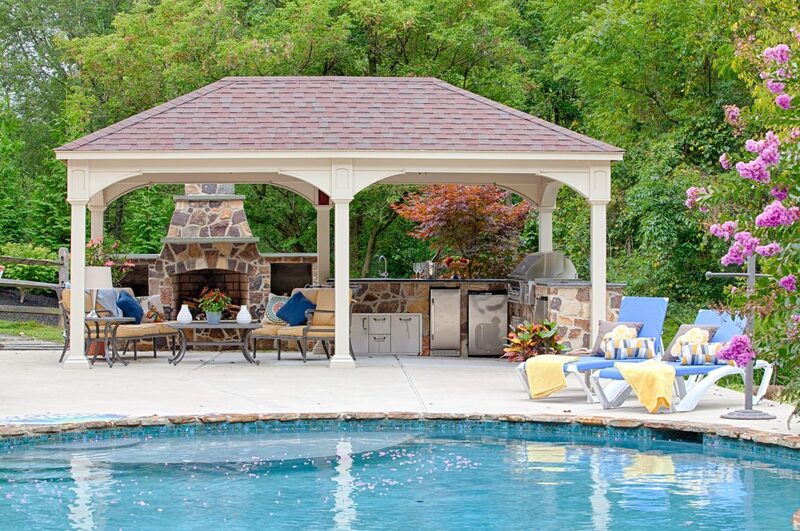 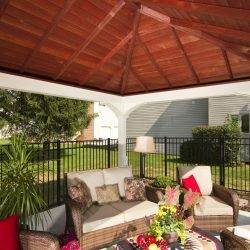 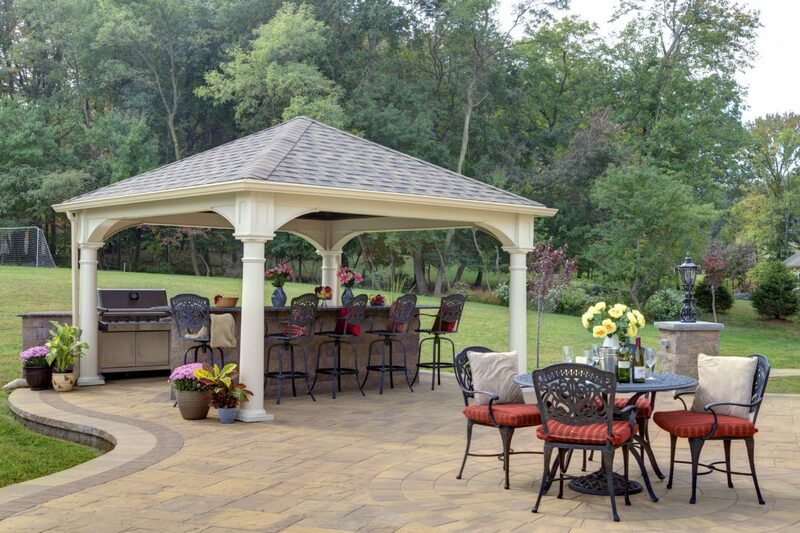 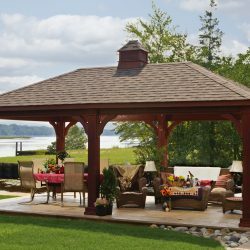 Our beautiful traditional Pavilions come in warm hand-selected wood or low maintenance, contemporary vinyl. 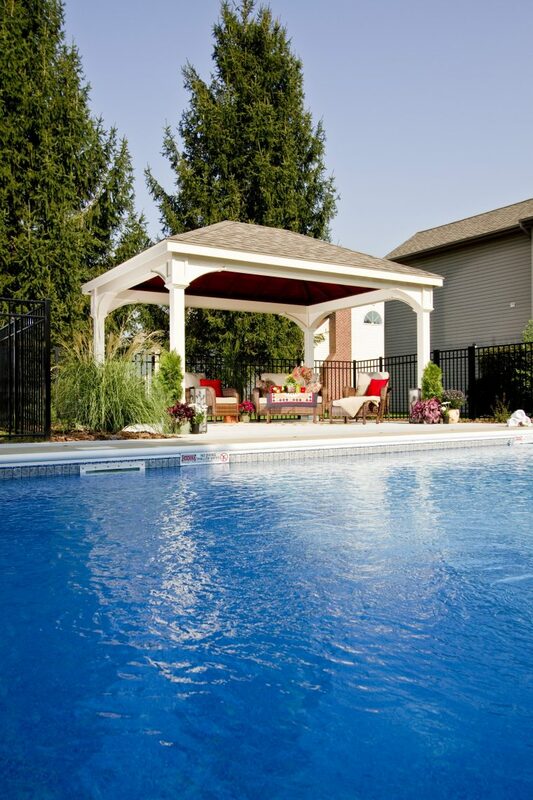 The design features heavy duty structure and roof engineering with double main rafters for structural integrity. 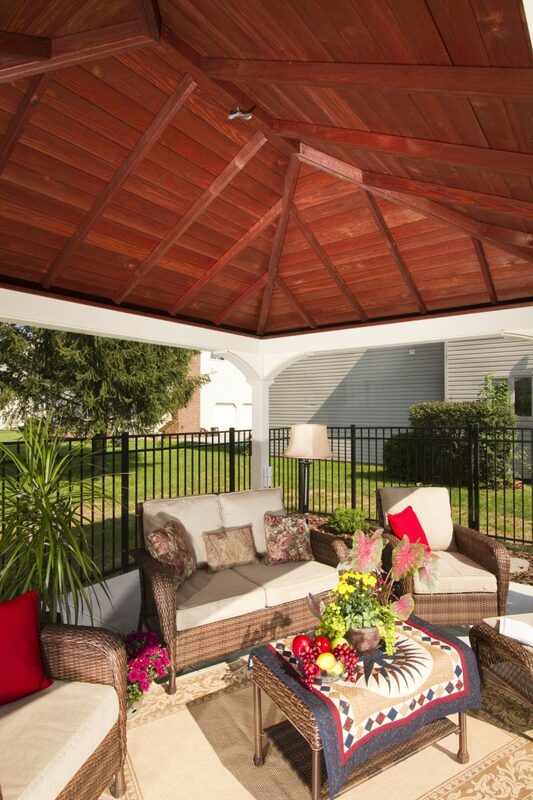 Looking for a classy touch as well as value? 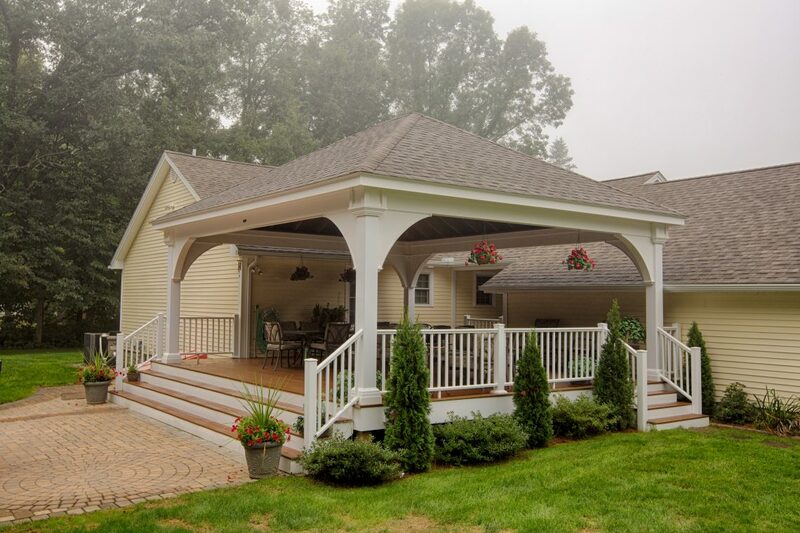 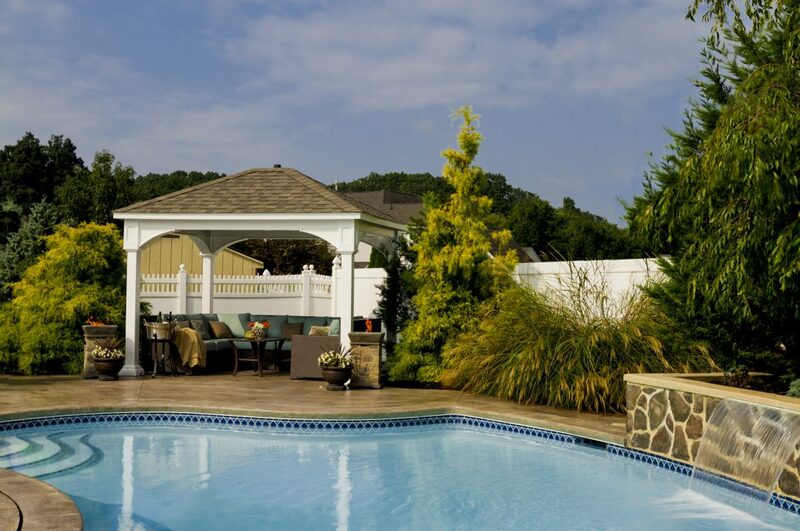 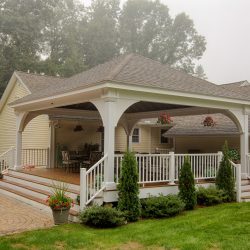 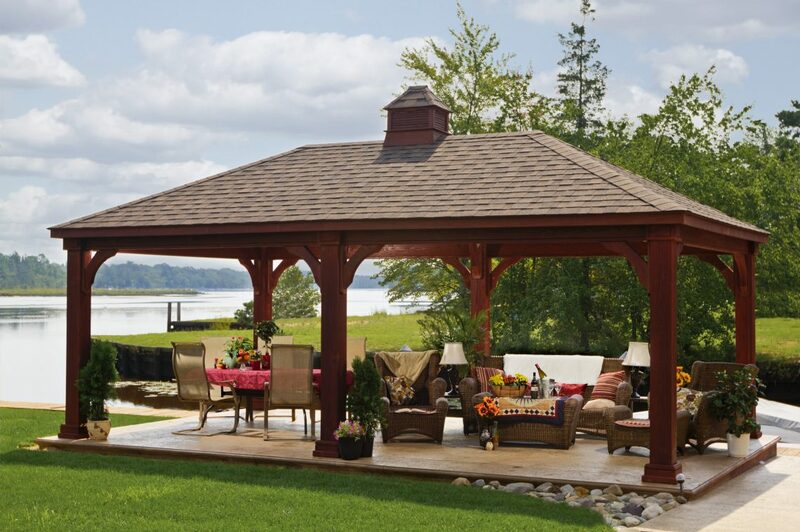 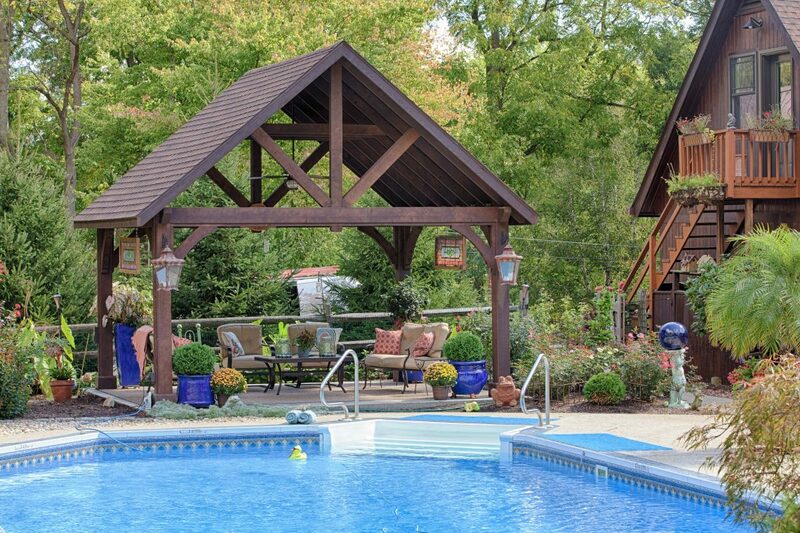 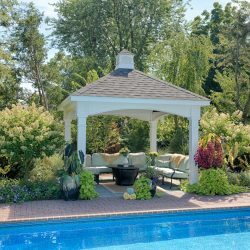 Out Hampton Pavilions make a statement with 10” round columns made from solid wood, decorative post trim and ceilings with 1×6 tongue & groove boards that are mahogany stained. 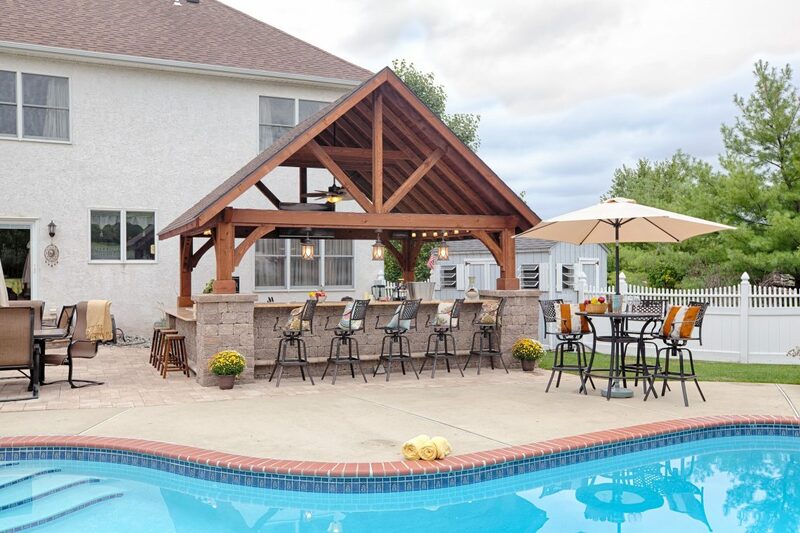 Big family? 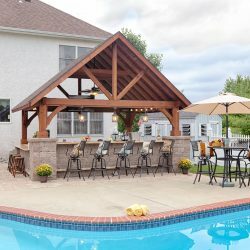 Large gatherings? 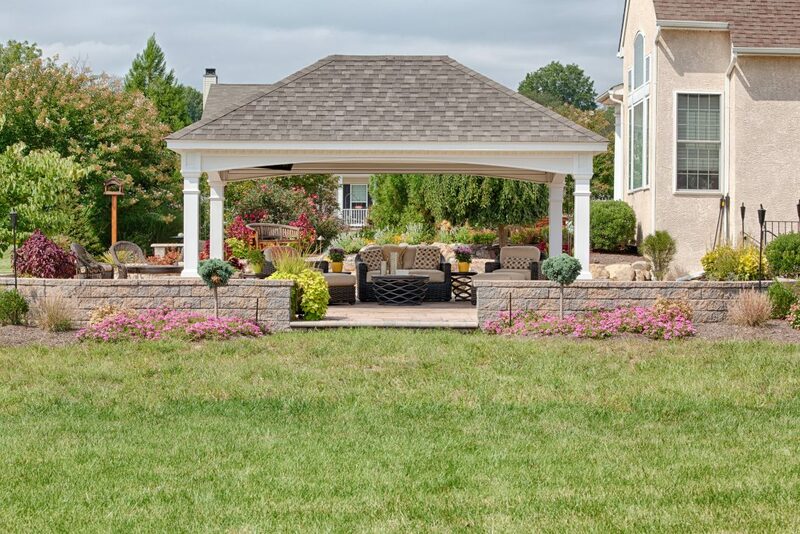 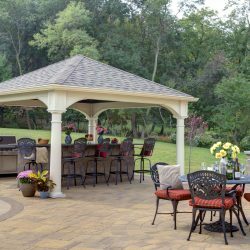 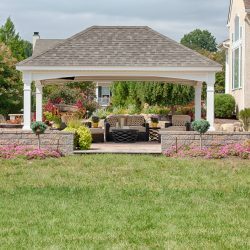 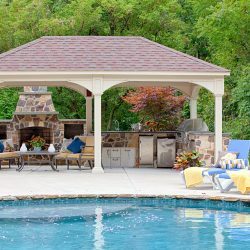 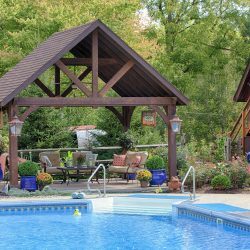 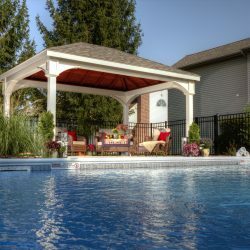 Then consider our spacious Grand Estate Pavilions that span up to 24’ without center posts and come in 5 different stain options. 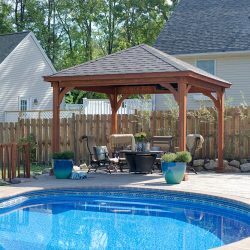 These fine pavilions come with decorative corner braces and are available with optional metal roofing or architectural shingles.